Corporate Social Responsibility is defined as; how we acknowledge our accountability for the impact of our activities on society and/or the environment. Hilary Meredith Solicitors Ltd has worked in Partnership with the Spinal Injury Association in producing a DVD ‘Life after Injury’ which is given to all recent spinal injured patients. Hilary Meredith helps organise the annual North West regions Spinal Injury Association Cornflower Ball. We are the official sponsors of the Spinal Injuries Association Community Peer Support, Yorkshire and Humberside. We work as volunteer caseworkers with SSAFA in two regional areas. We work with and support our local Citizens Advice Centre. We also support the Royal British Legion and elect a Charity of the Year which is currently Sanctuary for Veterans. All lights and computers/VDU’s are switched off each night. Heating has been lowered a couple of degrees and an efficient air con and heating system is in place. Members of staff are encouraged to reuse used paper for taking notes or messages and to photocopy documents double-sided. We recycle paper and most other commodities. We look to use any resource we can within the firm and look to always re-fill printer cartridges. We look to use suitable local suppliers for groceries, sandwiches, printing and stationary etc. Each year the firm offers placements to students from the local schools as part of their works experience. We support local initiatives including the Wilmslow Scarecrow competition and the local shows. We attend a clinic at Headley Court rehabilitation centre giving the injured military personnel the opportunity to talk to us about their case and we will advise them. Much of the work we do is on a pro bono basis. Hilary regularly attends meetings at the Royal British Legion and advises them without charge. She is Chairman of the RBL Solicitors Group, having been involved since 1992. 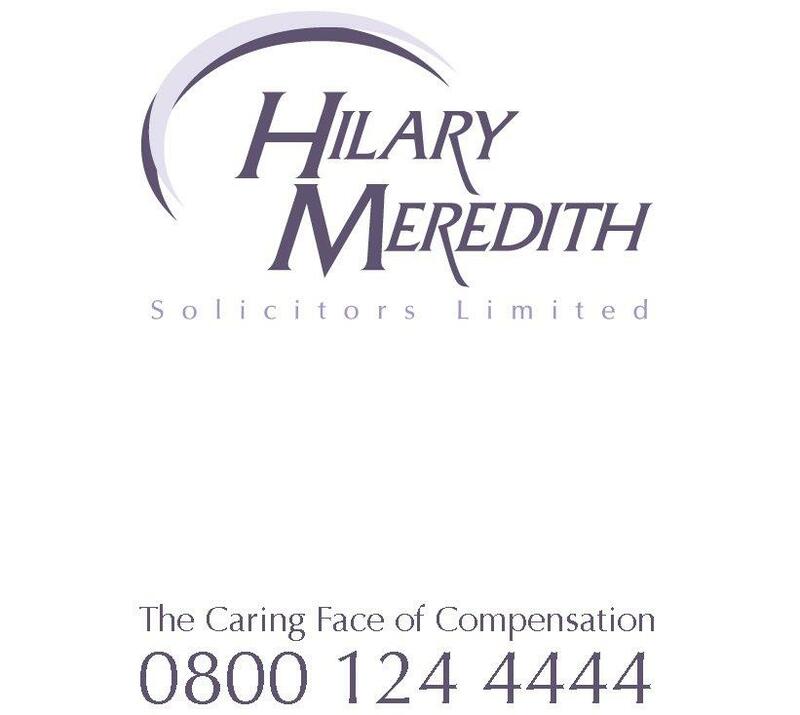 Hilary Meredith is known for highlighting to the media the concerns of military personnel with regards to the compensation they receive if injured and has put questions to the House of Commons and House of Lords to push for change. She is a voluntary member of the Royal British Legion House of Lords and House of Commons committee reviewing the mistakes made in the Gulf War 1 to avoid those mistakes occurring again. The Serious Injury team report trends in accidents to insurers and the MOD to prevent similar military accidents occurring in the future. We submit editorials for publication to the legal community on varying subjects including the future of the personal injury market. We have and will continue to attend and present at conferences on the future of the legal sector. Hilary is Editor in Chief of Claims Management Council Magazine and is the Military specialist writer for Modern Claims Law. We monitor and ensure that we are compliant with the spirit of the law, SRA code of conduct and ethical standards.